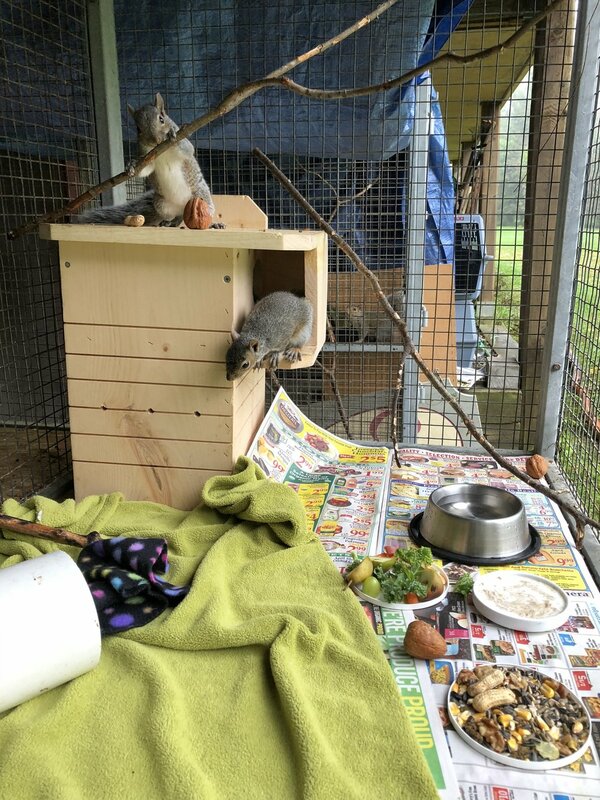 Eastern grey squirrel orphans enjoying their first day outside in a new nest box. This box will eventually accompany them into their forever wild release site, making their transition easier. Frog Hollow Wildlife Rehabilitation is a state-permitted wildlife clinic run by Melissa Morris. The mission of my clinic is to care for orphaned, injured and ill small mammals and turtles, until they are healthy enough for release back into the wild. As a lifelong advocate of nature’s most fragile species, I feel fortunate to be able to devote my efforts to their welfare. As a licensed rehabilitator, I have passed the state-mandated exam and have taken numerous courses to support this very focused career, beyond an earlier Master’s degree. I volunteer weekly at Tufts Veterinary School’s Wildlife Clinic, where I learn much from experts in the field and interface with many species. I also work in tandem with several veterinarians to ensure that severely injured or ill animals receive the specialized care they need prior to rehabilitation at my clinic. Frog Hollow Farm is located in Hubbardston, a small, rural town in central Massachusetts. The farm and its rehabilitation clinic abut 23,000 acres of conservation land, the single largest tract in Massachusetts. This makes the location perfect for release of many species. Pristine woodlands, swamps, meadows, ponds and the Ware River Watershed provide ample habitats for native wildlife, far from the encroachments of busy human life. The clinic offers both interior and exterior enclosure options. Many babies start out in an incubator and graduate to protected outdoor environments before their release back into the wild. 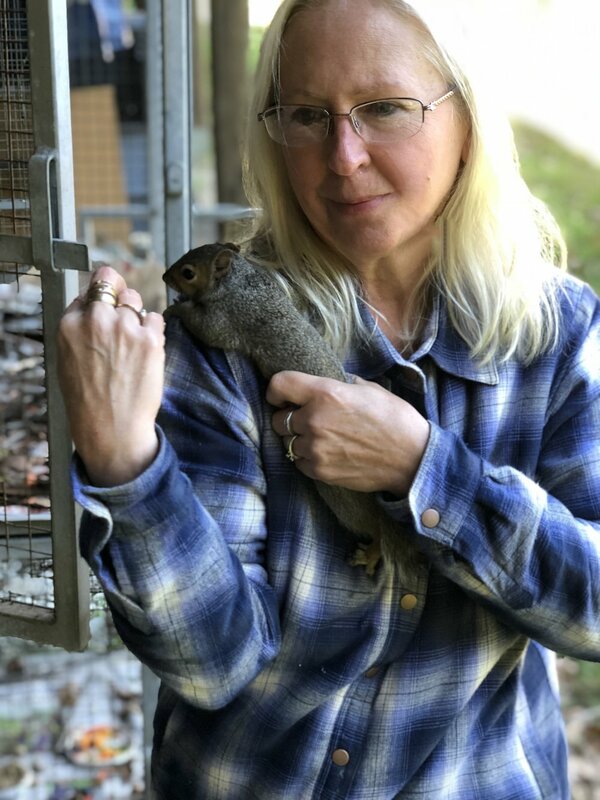 Melissa Morris and a habituated squirrel just learning to become wild again.